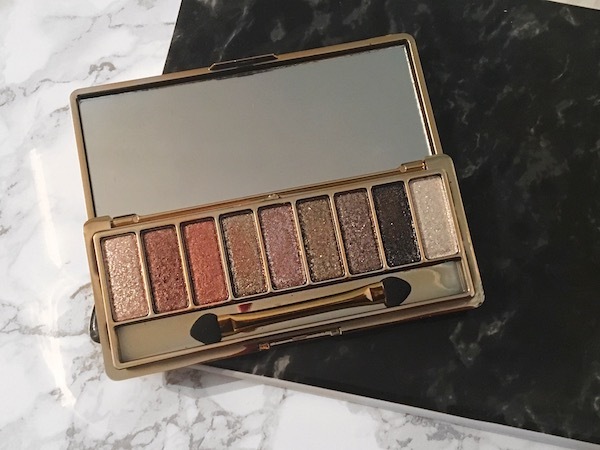 I've been seeing this eyeshadow palette all over Pinterest recently, and it contains the most stunning, dazzling, eyeshadow shades. After searching high and low all over the interest, I finallyyy managed to find the exact palette. There are a few palettes available from the range - I have style number 6. If you follow me on Snapchat *skinfacebeauty*, you would have already seen some swatches. There is a nice selection of gold, coppers and dark shades which are all super pigmented. I don't tend to use any brushes to apply the shadows, after trying them a few times I felt like they applied better with my fingers. There is a little powdery fall out but that can be prevented by gently picking up the product with your fingers. The longevity of the shadows on its own isn't great, but I found that with a good eyeshadow base and a little facial mist spritz it does last longer.